Power Transformers and Special Applications: Manufacturing up to 15MVA and with voltage of up to 36KV internally, Ardan design and manufacture small power transformers from top to bottom. 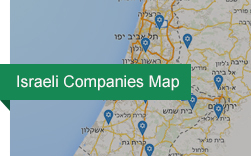 As per larger power transformers, we offer various solutions through our strategic alliances globally and meet any customer's needs.Special applications - Located in Israel, Ardan gained significant experience in designing and manufacturing transformers for water desalinations facilities. Our transformers are installed and operate in all four Israeli water desalination facilities and also in facilities across Cyprus and Australia.Whether it is rectifiers, phase shifted transformers or any other need that you may have, we will be happy to find the relevant solution for you, please contact us for further information. Ardan also manufactures larger transformers, you can read more about them in the "small power transformers" where we go up to 15,000 Kva and up to 36Kv.Our transformers are fitted for pole mounted design with expansion tank and also for ground mounting with hermetically sealed tanks.Having quality at the top of our mind, the process of designing and manufacturing each and every transformer is performed to perfection, from the core to the tank, from the coils to the paint you can expect a top workmanship. Ardan is using and has the distribution rights to sell Transformer's Minerl oil manufactured by Calumet. An American leading oil refinery that manufacture and sells transformer mineral oil. Oil is used to cool the transformer, because it also provides part of the electrical insulation between internal live parts, transformer oil must remain stable at high temperatures for an extended period. To improve cooling of transformers, the oil-filled tank have external radiators or cooling fans through which the oil circulates by natural convection.Transformers undergo prolonged drying processes, using the application of avacuum, making sure that the transformer is completely free of water vaporbefore the cooling oil is introduced. This helps prevent corona formation and subsequent electrical breakdown under load.